New Year’s resolutions. We’ve all made them, but–real talk–how often have you kept them? It’s easy to make yourself a bunch of promises, like saying you will go to the gym four times a week or that you will not order take-out more than once a month. But to err is human, and more often than not, these resolutions don’t stick for the remainder of the year. If you are a person guilty of making lofty resolutions and not sticking to them, maybe you should enlist a buddy to help you keep your word. That buddy can be furry and have four legs. Here are five New Year’s resolutions and the ways your dog can help you stick to them. Chances are, your dog wouldn’t be too upset if you started taking them on more walks. 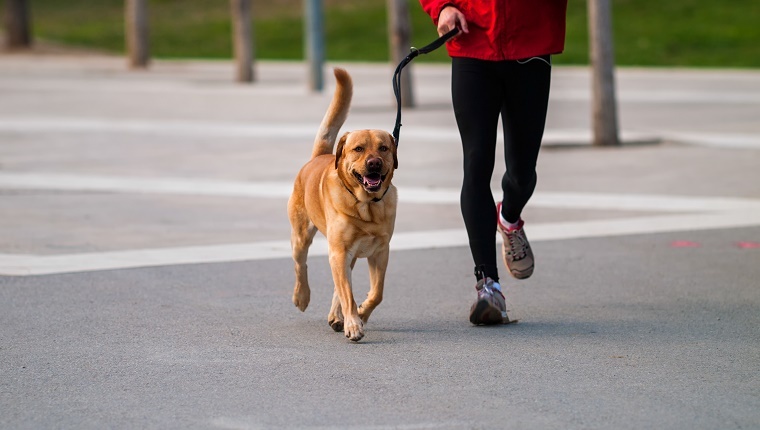 Not only will walking Fido get your blood pumping, but studies show that walking your pup gives a wealth of psychological benefits. You know how it’s sometimes easier to take care of someone else more than yourself? Turns out that walking your pup will actually encourage you to fill your exercise needs as well. So grab some poop bags and bundle up. It’s time to start walking. 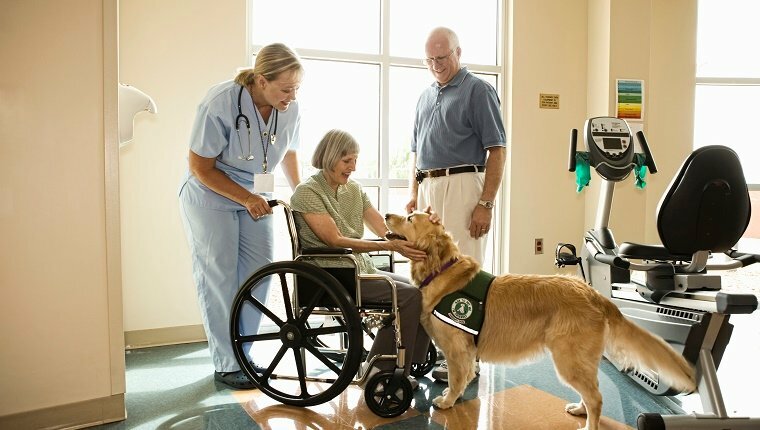 Dogs are frequent visitors to hospitals, senior centers, and even colleges. All of these people have benefited from the stress relieving activity of hanging out with some pups. If you have a dog, be sure to spend some quality time with them. Carve out 15 minutes of your day to focus solely on your pup. 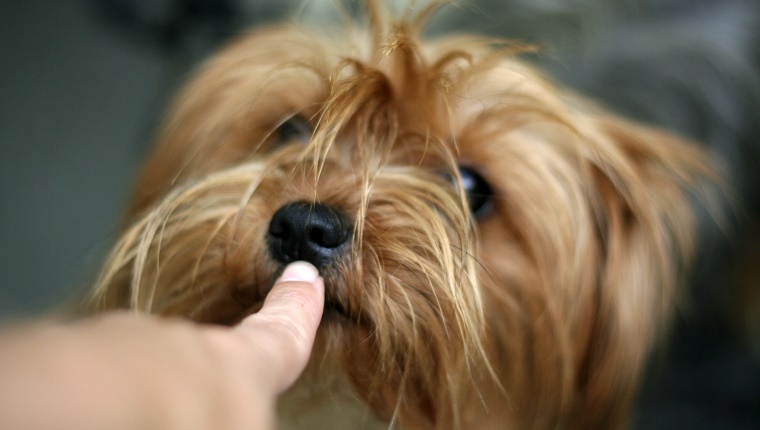 Studies have shown that interacting with a dog can lower your cortisol levels within minutes. Don’t sweat the small stuff. Play tug-of-war with your pooch. Could your ability to string together cuss words make a sailor blush? If you are looking to clean up your language, consider putting together a swear jar. To make matters more interesting, make the money you put in the jar go towards something for your pup, like a luxurious new bed or a fancy new toy. You know those aforementioned dogs that visit senior centers and hospitals? If your pooch is social, they could be one of those dogs! There are tons of pet therapy programs you can sign up for so your dog can bring a little joy into another person’s life. You know how awesome your dog is, so why not spread the love? Check out some local organizations and see what fits for you and your pup best. It can be difficult broadening your social circle as an adult. Your dog could make meeting people a lot less terrifying. 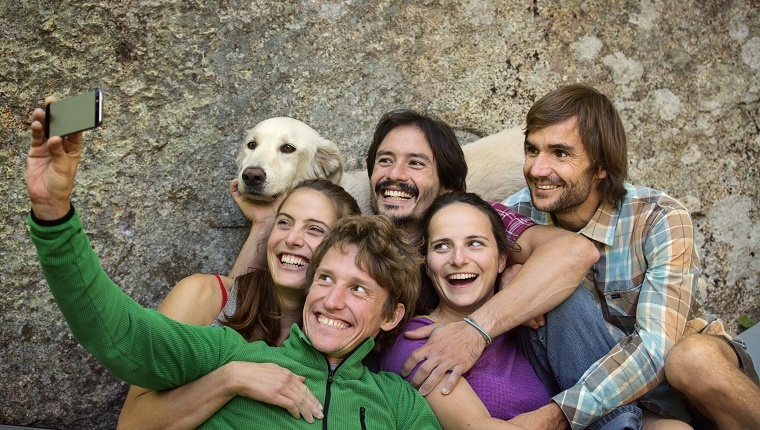 Find a local group that focuses on dogs, like a hiking group. Talking about your pet is a great ice breaker, especially with a fellow dog owner. Hit up your local dog park and strike up a conversation with a future friend or even significant other. Are you planning on making any New Year’s resolutions for 2019? If so, what are they, and is your pup involved? Let us know in the comments below!